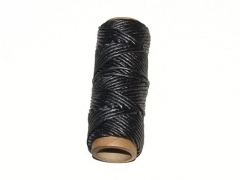 Spool of 1/16" waxed band tying twine, for speargun band making. Each spool has approximately 50 ft. This twine is made up of smaller strands that are not weaved together, which makes it settle flat. This prevents the twine from cutting into the rubber band, allowing a very tight knot. 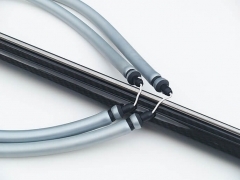 It has a breaking strength of 100 lbs which means you can pull it very hard when tying the band, without worrying about breaking the line or cutting through the rubber tubing. The waxed coating helps the knot settle nice and even. To finish cut the ends close and melt with a lighter for a nice compact look. 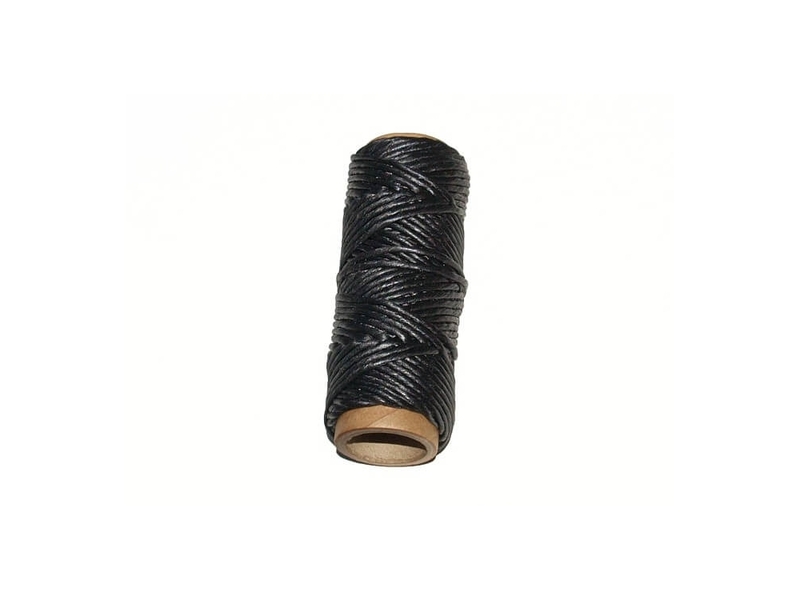 This is simply the best stuff we could find for tying bands, and many other projects where a constrictor knot is necessary, such as tying off the ends of a speargun muzzle bungee. We use the double constrictor knot to tie bands.